Coffs Harbour Surgical provides you with the optimum in surgical care in a confidential and professional environment. We offer a unique collaboration of specialist surgical services. Dr Andrew Ramsay established his surgical practice in Coffs Harbour in 2004, and since then has provided quality health care to the local and wider community. A general surgeon and endoscopist, with over 30 years experience in the medical field, he has undertaken training in Australia and the UK and is an expert in bariatric (weight loss) and laparoscopic (keyhole) procedures. He provides endoscopic (gastroscopy and colonoscopy), general surgical and advanced laparoscopic surgical services (including abdominal wall hernia repair, gall bladder surgery, hiatus hernia/anti-reflux surgery and weight loss/bariatric surgery). He is a Fellow of the Royal Australasian College of Surgeons and the Royal College of Surgeons of Edinburgh, and a member of the Obesity Surgical Society of Australia and New Zealand. He has VMO surgeon appointments at both the Coffs Harbour Health Campus and Baringa Private Hospital. Dr Ramsay and his team, take a holistic approach to health care with surgical, counselling and nursing services conveniently available to patients from the first consultation through to aftercare treatments. Dr Shaun Bond is a local GP, Bariatrician and Surgical Assistant with extensive experience supporting weight loss surgery patients. He is a valued member of our team and motivated in helping our weight loss surgery patients achieve optimal health. Dr Ellis Choy is a highly qualified specialist breast and plastic surgeon based in Sydney. He has provided high quality surgical care in Coffs Harbour since 2012. He has particular expertise in breast surgery and body contouring surgery after massive weight loss. Kyla Holley is a qualified psychotherapist who graduated from the Australian Institute of Professional Counsellors. She is also a member of the Australian Counselling Association and an Associate Member of the Obesity Surgery Society of Australia and New Zealand. Kyla’s counselling techniques and psychological support for patients with weight-related issues compliment Dr Ramsay’s treatments. 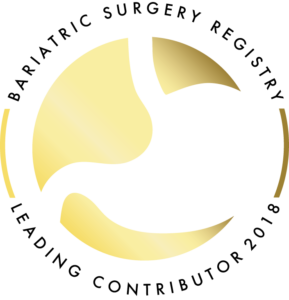 Kyla can teach you the skills you need to optimise the results of your bariatric surgery through a range of speaking based therapies. Lauren Stephens is a qualified Dietitian with over 10 years experience working in the area of weight loss/Bariatric surgery, Lauren has developed a great depth of knowledge and understanding, assisting those people undergoing Gastric Band, Gastric Sleeve and Gastric bypass surgery. 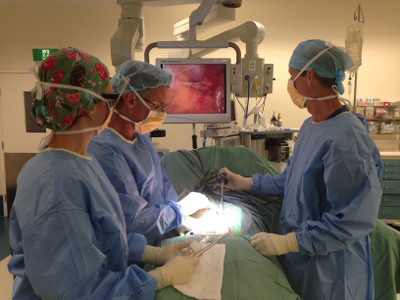 Situated in recently renovated rooms, Coffs Harbour Surgical provides state-of-the-art facilities and equipment. The surgery is conveniently located close to the centre of town with plenty of car park spaces available in close proximity. Dr Ramsay and his team provide the care you desire with the support you deserve. We look forward to welcoming you to Coffs Harbour Surgical.